Private tours of Glendalough, Wicklow, Powerscourt Gardens & Waterfall. Renowned for it’s magnificent scenery but is also full of a rich and varied heritage in terms of history, monuments, archaeology, architecture, landscapes, geology, parks, flora, fauna, wildlife habitats & mining history. We’ll drive out towards Wicklow along the coast road past Dalkey Village. 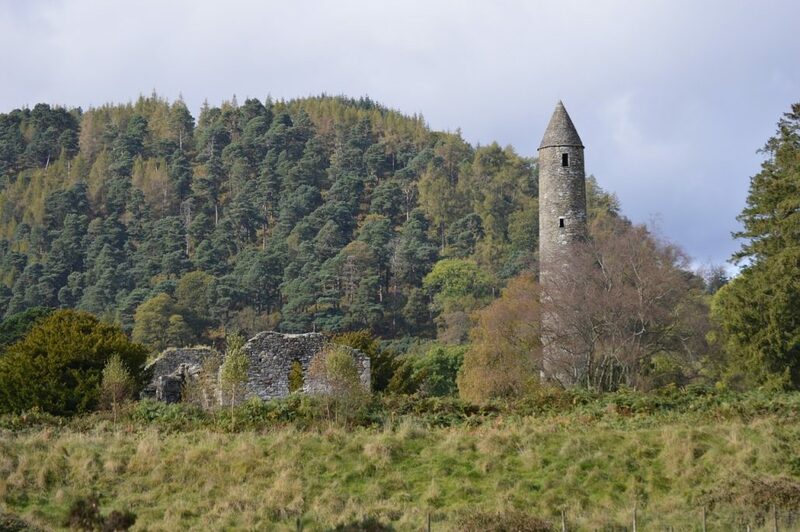 Then we’ll continue on to Glendalough where you can spend some time exploring the lake and the Round Tower. We’ll then journey on to Roundwood Village for lunch followed by a trip to the beautiful Powerscourt House and Gardens. Powerscourt Gardens in County Wicklow are one of the most beautiful gardens in Ireland. (recently voted No.3 in the World’s Top Ten Gardens by National Geographic!). The Gardens stretch over 47 acres and offer visitors a sublime blend of formal gardens, sweeping terraces, statues and ornamental lakes, secret hollows and rambling walks.